A new parking garage with 1,600 spaces opens just after midnight early Friday morning at the Orlando International Airport, offering immediate relief for the airport’s parking crunch but also a glimpse of the future authorities hope will glisten starting in 2020. 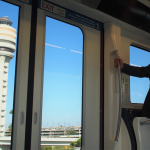 The south parking garage and an automated people mover tram connecting it with the airport’s main terminal are the first anchors for the Greater Orlando Aviation Authority’s $2 billion south terminal project they hope will mix planes, trains, trams, buses and automobiles in three or four years. For now the garage sits 1.5 miles south of the airport’s terminal offering relief for parking garages at the terminal that fill to near capacity almost every day and reach capacity and have to be closed a couple times or more every week. With the people mover, which reaches 42 mph, it’s only three minutes away, possibly less time than it takes to walk into the Orlando terminal from the existing parking garages. The new south garage also comes with remote baggage check-in working much like curbside baggage check counters at the main terminal. And the daily rate at the south garage is $15, two dollars less than the main garages at the terminal. 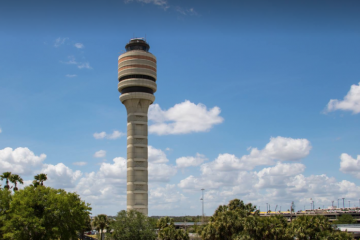 It comes just in time for the 2017 Thanksgiving traffic, followed quickly by the Christmas season, when Orlando International Airport pushes capacity on a daily basis and parking has often become a nightmare. This year holiday traffic is running 9 percent ahead of last year, said Executive Director Phil Brown. The facility is more than a parking garage. The garage is linked to a large atrium area connecting the people mover stop, the planned south air terminal, and a massive “intermodal transportation facility:” a train station planned to be the Orlando stop for the All Aboard Florida trains being planned to link Miami, Fort Lauderdale, West Palm Beach and Orlando. 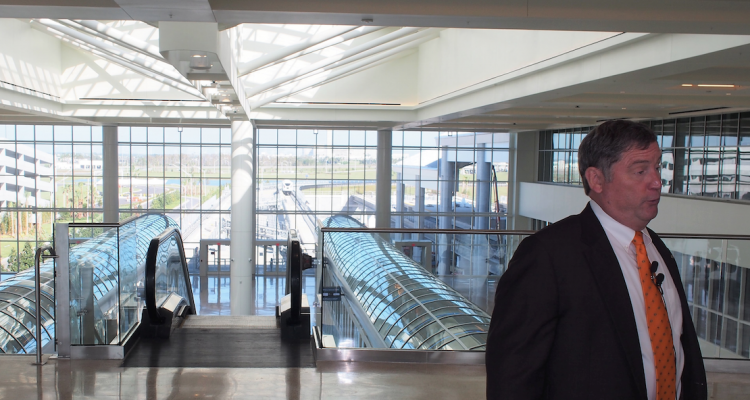 The garage and people mover station, with the atrium, cost $426 million, which were bonded out and will be paid down with a combination of parking fees and airline passenger facility charges that show up on tickets as local surcharges. 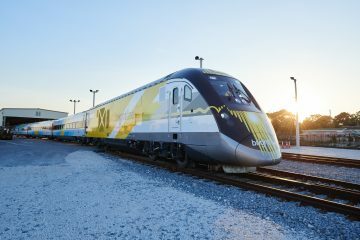 The train station cost $211 million, paid in part by state and federal dollars, had initially been envisioned to take three different trains, including an extension of Orlando’s SunRail commuter train and a light rail. 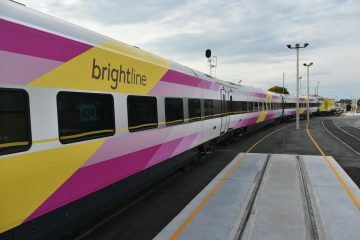 But now only the All Aboard Florida train is expected. 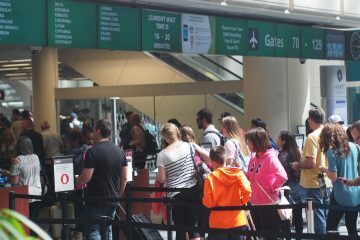 The south terminal, which will primarily handle international flights, is estimated to cost $2.2 billion. The terminal is scheduled to be finished by the end of 2020.